Petronas Media Relations Department released this statement on 2nd September 2005 regarding the signing of a Letter of Intent between Petronas, Nanjing Automobile Corporation (NAC) and Brilliant Culture Group Limited (BCG). The Letter of Intent states that Nanjing Automobile will be using the Petronas E01‘s technology in it’s vehicle lineup. Brilliant Culture Group will be co-investing in the engine’s manufacturing facilities. The letter was signed in Beijing, in the presence of our Deputy Prime Minister Datuk Seri Najib Tun Abdul Razak. It’s expected that Petronas and Nanjing will work together to develop an engine family based on the Petronas E01 in the range of 1.8 litres to 2.2 litre engines. Nanjing Automobile has 16,000 employees and has the capacity to produce up to 240,000 vehicles a year, according to analysts. The state-owned company has more than 30 units and 400 affiliated companies. Nanjing Automobile also won the bid to purchase British car maker Rover earlier this year. 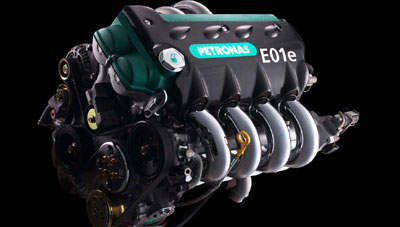 I previously blogged about the Petronas E01 and it’s capabilities here.